Danum Valley: Something for everyone in the virgin rainforest! Home/News/Sightings/Danum Valley: Something for everyone in the virgin rainforest! 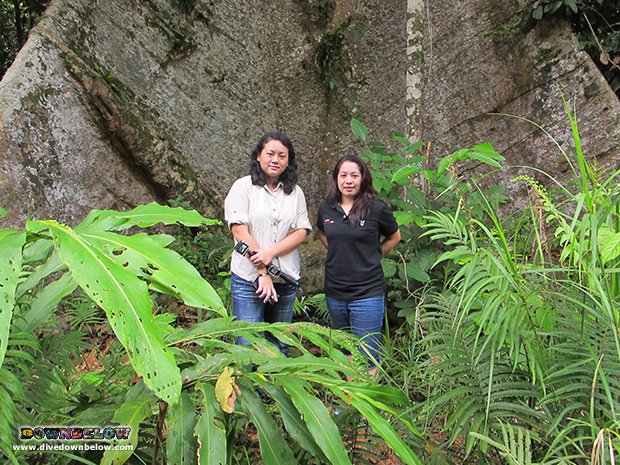 Sabah Travel Centre Managers Alice and Magdalene report Danum Valley has something for everyone to enjoy in the virgin rainforest! A ‘familiarity trip’ is organised and fully-sponsored by Downbelow Marine and Wildlife Adventures to explore the attractions of Danum Valley to increase product knowledge for the benefit of our clients. The ladies stayed at the Borneo Rainforest Lodge, as well as Tabin Wildlife Resort, to assess the level of customer service meets our clients’ expected standards of excellence! They also learnt a lot of the incredible plant and animal biodiversity of Sabah, Borneo; particularly during guided walks in the morning and afternoons to spot rare and endemic wildlife. Beautiful views of the misty jungle in the mornings are just amazing from the watchtower at the Borneo Rainforest Lodge; and at the Tabin Wildlife Resort, they saw a variety of animal footprints covering the mound that is the Lipad mud volcano. Get more information on how our Sabah Travel Centre can create an individual itinerary for you to explore the untouched ‘heart of Borneo’ in Danum Valley! By Joanne Swann|2015-01-27T14:03:15+08:00January 31st, 2015|News, Sightings|Comments Off on Danum Valley: Something for everyone in the virgin rainforest!